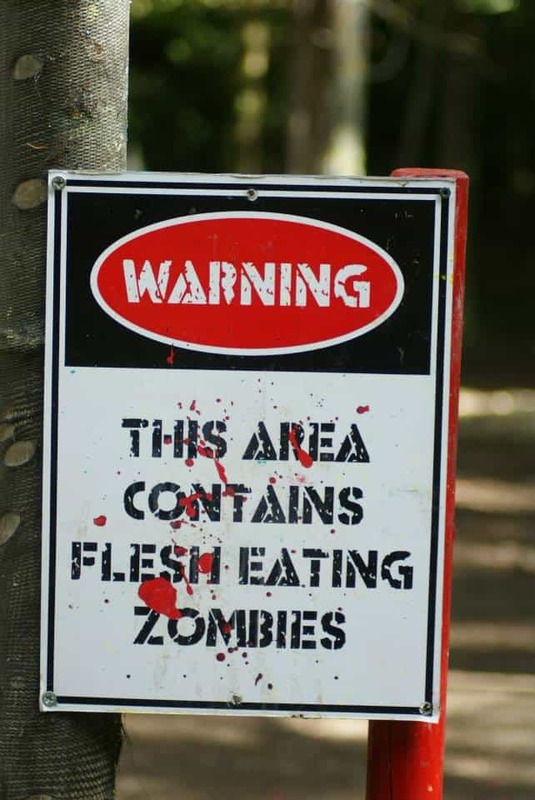 Be warned: beyond this point you enter a contaminated zone, by choosing to proceed you are exposing yourself to the contagion within…as well as the undead that lurk out in the woodlands beyond. If you are willing to face this danger then you could be humanity’s last hope – if we can eliminate the zombies in this sector, then perhaps we can stall the spread of the virus, and Armageddon can be averted…at least for another day. 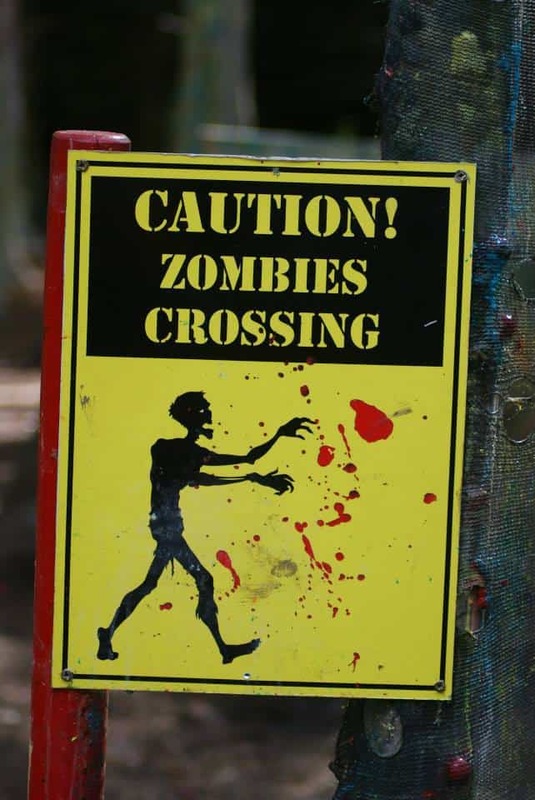 It is the solemn duty of Delta Force Paintball to inform you of the zombie hordes that currently plague our sites in our newest zombie paintballing game mode, the aptly titled ‘Infection’. 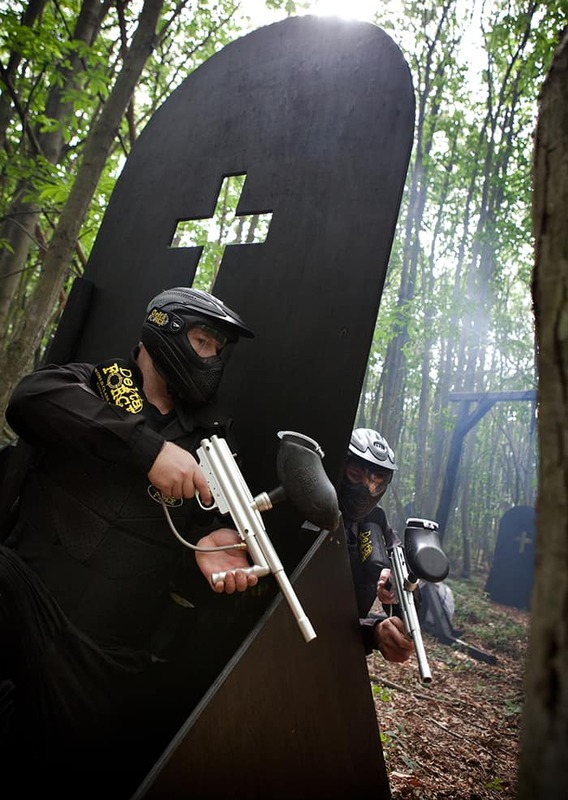 The apocalypse has arrived in undead form, and it is up to you to save the world…through paintballing, naturally. Players are split into two teams: the human survivors, and the zombies themselves. The objectives for both are simple – for the humans, your task is to clear the sector of the contagion by eliminating all zombies. For the zombies, all you have to do is infect any remaining humans by shooting them anywhere from the neck down, the human will then mutate and join the zombies’ team. With the odds stacking up against the humans, will you survive zombie paintballing? Delta Force commends in advance the efforts of the last of humanity, and hopes that our customers will be able to help rid our sites of this somewhat inconvenient contagion. To pledge allegiance to the side of the living, please contact our 24/7 booking office on 0203 869 9301.